Dates and oranges make a lovely flavor pairing. Try flavoring the cookie dough with orange extract or 1/4 teaspoon fiori di sicilia for a delicious variation. You could also add finely chopped nuts such as pistachios or walnuts to the filling; the cookies will be reminiscent of the Middle Eastern sweets called ma'amoul. Wrap dough in plastic wrap and refrigerate 3 to 4 hours. While dough chills, make date filling (recipe below). Preheat oven to 350 degrees. Roll half of dough out on a lightly floured counter to 1/8 inch thickness and cut with your favorite Ann Clark Cookie Cutters, then transfer cookies onto cookie sheets that have been lined with parchment paper or silicone liners. Brush lightly with water, then place a generous tablespoon of date filling on each cookie and spread filling to flatten, leaving 1/4 inch border around edges. Roll and cut remaining dough and place cut cookies on filling, pressing it down lightly. With your fingertips, press around edges of cookies to seal. With a paring knife or fork, poke slits through dough to allow steam to escape. Bake 10 to 12 minutes, until lightly colored. Let cookies cool slightly on cookie sheets, then transfer to a wire rack to cool completely. 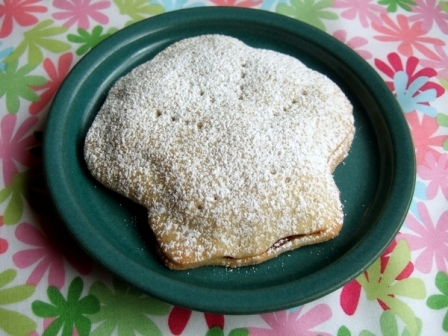 Dust with confectioner's sugar or drizzle with glaze or melted chocolate, if desired. Deglet noor dates work just as well here as more expensive medjool dates. Be sure to check the dates carefully for any stray pits. Place in a food processor and process just until smooth, about 10 seconds. Let cool. Add more water if necessary if mixture is too thick and sticky.